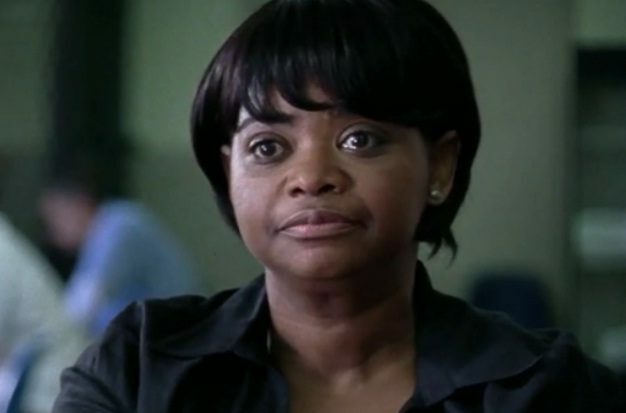 According to Variety, Academy Award winner Octavia Spencer (The Help) is set to star in Hidden Figures opposite Academy Award nominee and Golden Globe winner Taraji P. Henson (TV’s Empire). Ted Melfi (St. Vincent) will helm from Allison Schroeder’s adaptation of Margot Lee Shetterly’s nonfiction book Hidden Figures: The Story of the African-American Women Who Helped Win the Space Race: An Untold Story, which will be published by William Morrow/Harper Collins in September of this year. The book is about a cadre of African-American women (Katherine Johnson, Mary Jackson, Dorothy Vaughan, Kathryn Peddrew, Sue Wilder, Eunice Smith, Barbara Holley), nearly all top graduates of historically black colleges, who were brilliant mathematicians helping NASA win the space race, yet segregated from their white female counterparts. The feature will focus on astronaut John Glenn’s momentous launch into orbit, and his safe return. Henson will play Johnson, and Spencer will play another of the mathematicians in the group. The Fox 2000 feature will be produced by Melfi along with Chernin Entertainment and Donna Gigliotti of Levantine Films. Spencer was seen in last year’s Insurgent and recently filmed Marc Webb’s Gifted starring Chris Evans (Captain America: The Winter Soldier). She will play God (Papa) in Stuart Hazeldine’s The Shack starring Sam Worthington (Avatar) which bows on November 18th.